If you have ever hosted an outdoor party or special event but spent most of the time shuffling back and forth between your kitchen inside, and your guests outside, you should explore the advantages of an outdoor kitchen! What was once a luxury is now a must-have for homeowners who want to make the most out of their beautiful Colorado home while adding value and convenience. Outdoor kitchens can easily offer all the necessities you would find in an indoor kitchen, but with the functionality and design that is suitable for outdoors. Neighborhoods in and around the Colorado Springs area have some of the most beautiful homes in the state and are looking to expand this style to the outdoors! 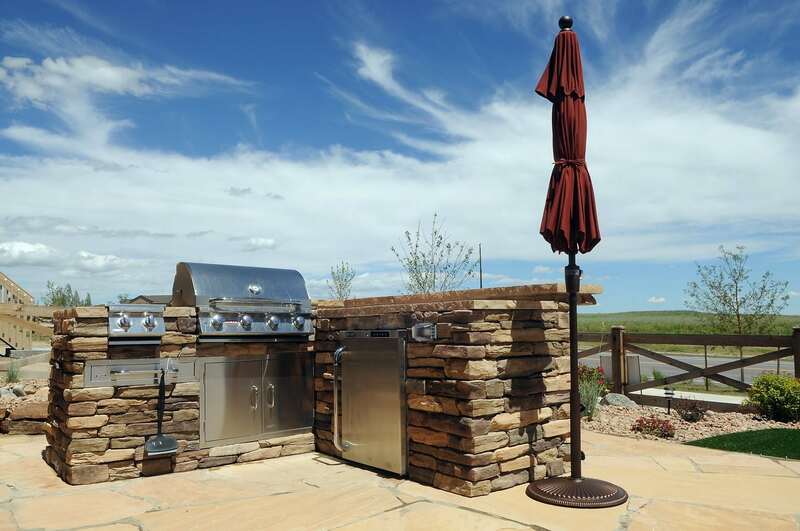 When you are considering your outdoor kitchen options, be sure to think about the key aspects that will make it a success. 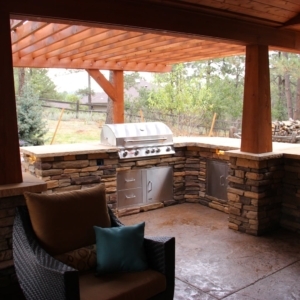 Our expert designers and construction crew can work with you to define and design the best outdoor kitchen for your needs. 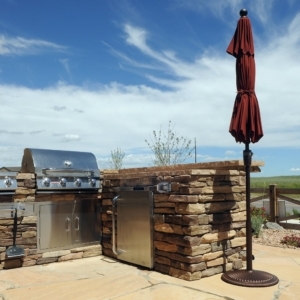 Placement of an outdoor kitchen is essential for convenience and home safety. Our team can help you explore how you plan on entertaining, the best location options for privacy, sunlight, and weather, and all the requirements for design and installation. 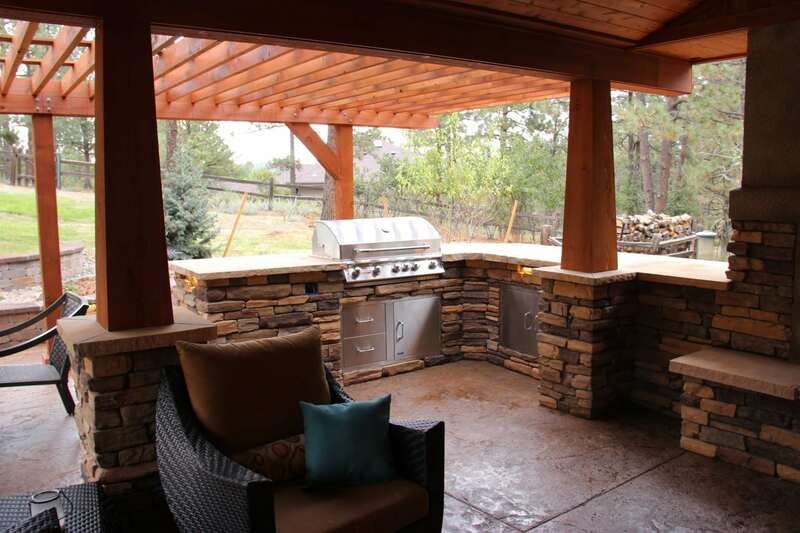 Construction of your outdoor kitchen requires different materials, expertise in how materials can be used to the best advantage, and the knowledge of how to install and startup safely. 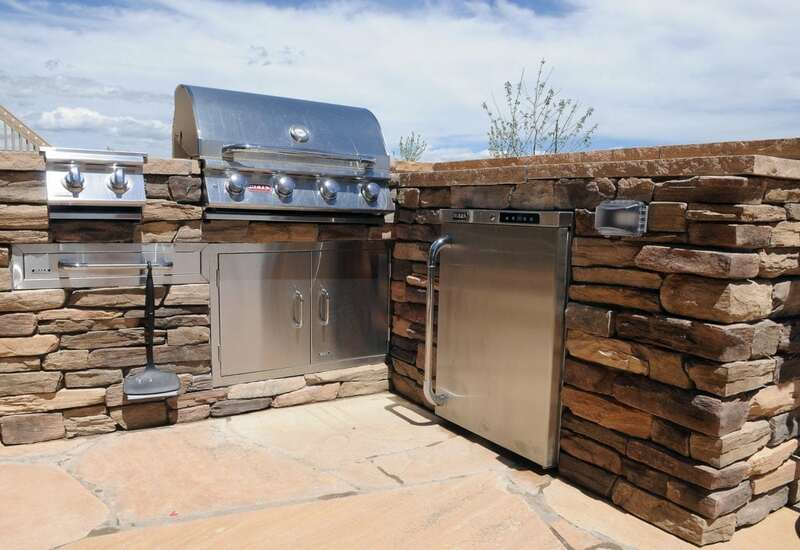 Appliances you will want to use in your outdoor kitchen will help expand functionality but need to be chosen carefully to ensure they provide the quality, safety, and weather-resistance requirements required. Jake’s Designs landscaping services have designed and built a fantastic range of outdoor kitchens throughout the area that provide the best in terms of functionality and beauty. 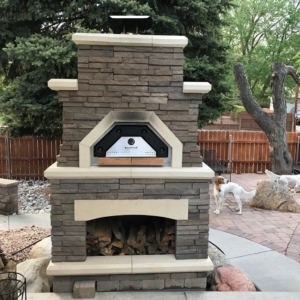 We work with homeowners so they get more enjoyment from their outdoor space, with custom grills, outdoor refrigerators, pizza ovens, and appliances. With more than 18 years of experience and local knowledge, we can help you expand your living areas and add value to your property and improve the quality of life! 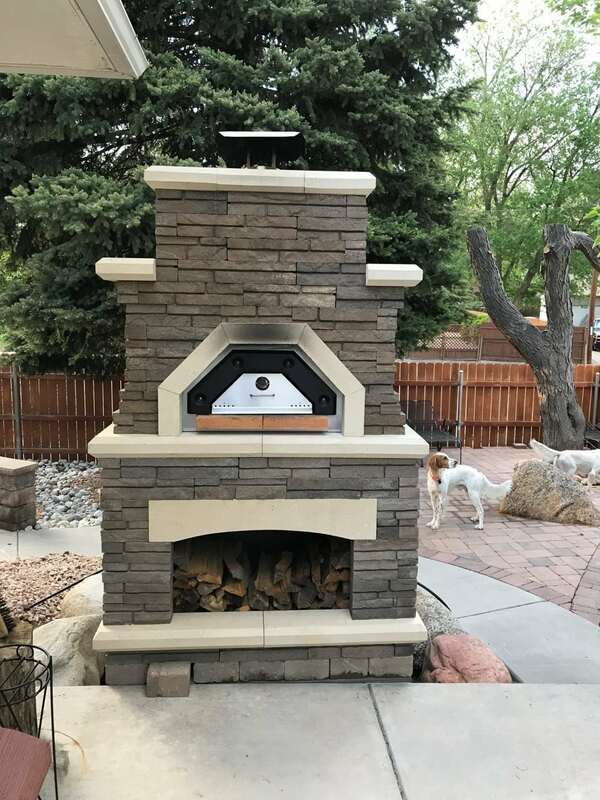 Jake’s Designs serves Colorado Springs, Broadmoor area, Chipita Park, Cheyenne Mountain, Black Forest, Flying Horse, Monument, Rockrimmon, and surrounding areas in Colorado Springs.